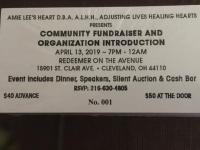 I am pleased to announce that A.L.H.H, INC. will be hosting their first Community Fundraiser and Organization Introduction on Saturday April 13th, 2019 from 7pm- 12 am at Redeemer on the Avenue 15901 St. Clair Avenue Cleveland, Ohio 44110. This event will feature a night of honoring women who have successfully transitioned to productive members of society. The night will include live music, testimonials, raffles, live auction/silent auction, buffet dinner and cash bar. We are confident that this event will attract a diverse crowd that will support families affected by the epidemics of drugs and mass incarceration. We invite you to consider joining us as a sponsor to ensure our mission will reach the needed communities. We are committed to actively promoting every sponsor who will commit to making this a much anticipated, successful yearly event. 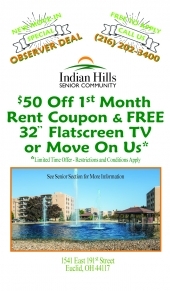 If I can provide additional information, please feel free to contact me at 216-630-4805. 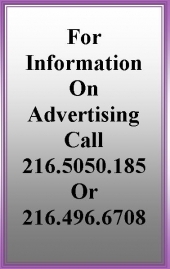 We look forward to your help in promoting our vision of loving, advocating, educating and supporting our clients. Small business owner looking to network and collaborate with others in our community.